The Greene County Board has adopted a resolution of support for a medical cannabis growing center in the county without endorsing the application of either of the two parties that hope to obtain a state license to be the grower in State Police District 18. 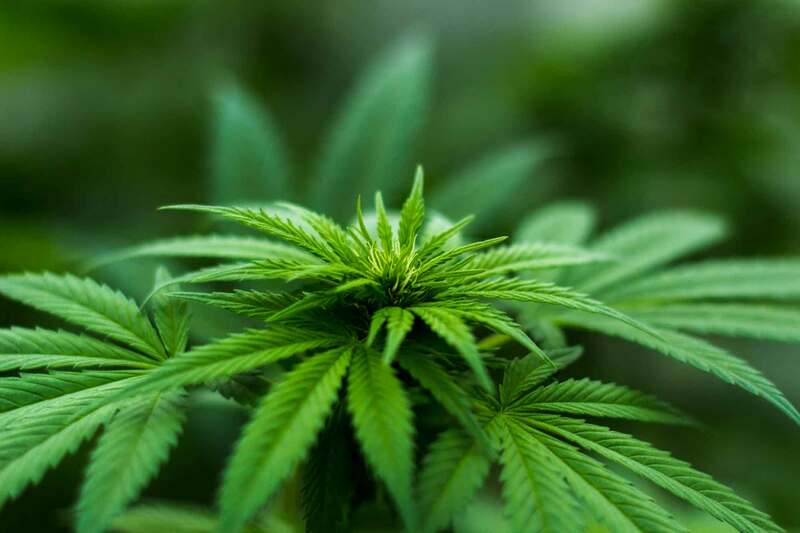 Local man Norm Goetten, who owns land south of Carrollton, and Grow Green Management, a nationwide firm that has built grow centers in other states, are both applying for state licenses from the Department of Agriculture to provide medical marijuana to dispensaries in Illinois. Grow Green obtained a resolution of support on Aug. 27 from the Roodhouse City Council to put a center on land adjacent to the state prison. "We don't have zoning in Greene County so I don't know what they want from us. They just have to buy the land and put it where they want," said County Board Chairman Joe Nord. Randy Miles and Michael Slawin from Grow Green and Goetten told the board a letter of support was essential in the highly competitive bid for a grow license. Only Mark Strang voted against providing support. "We were elected to pay the bills for Greene County. We have no zoning. This isn't our job," said Strang. "For Greene County to get a cultivation center we need your support tonight," Slawin responded. "Who am I? I make my own decisions. I don't think you need our approval. I do not want this facility," Strang said, who was concerned that the Compassionate Use of Medical Cannabis Law would lead to legalization of the plant in Illinois. A medical marijuana grow center in Greene County could be an economic boon. Slawin told the board a service agreement could be worked out with Greene County that would provide 2 percent or $3.5 million of the center's profits each year to the county. Members of the Greene County Economic Development board were on hand to lend support for the resolution. "The state gets 7 percent. We can work out an agreement so that another 2 percent comes to the county," said Miles. "We're business people. That $3.5 million is based on a business plan and the number of dispensaries in the state," said Slawin. "These are solid numbers. The State of Illinois Department of Public Health has started issuing medical marijuana cards. They expected a few hundred but have gotten over 2,000 in just a few days. We are very comfortable with the estimate based on the number of patients served. We will sell to licensed dispensaries in Illinois." A center would also mean 25 to 100 new jobs in Greene County, depending on demand. The jobs would be well-paid and provide benefits. Off duty police officers would also have an opportunity to work security for the center. "When we heard that they were applying for this we laughed," said Economic Development Director Jim Mager. "But when we heard the stories about how people were helped by medical marijuana we made a unanimous judgment in support of center. If Mr. Goetten and Grow Green can't get a letter of support, it is guaranteed they won't get a license." "I have cancer and have taken plenty of pain medicine. It's the same thing," said Board Member Mike Kiger.